I was really looking forward to reading Becca Fitzpatrick's Black Ice because I had read the Hush, Hush series in the past, and it’s one of the first series I read that got me hooked on this genre. 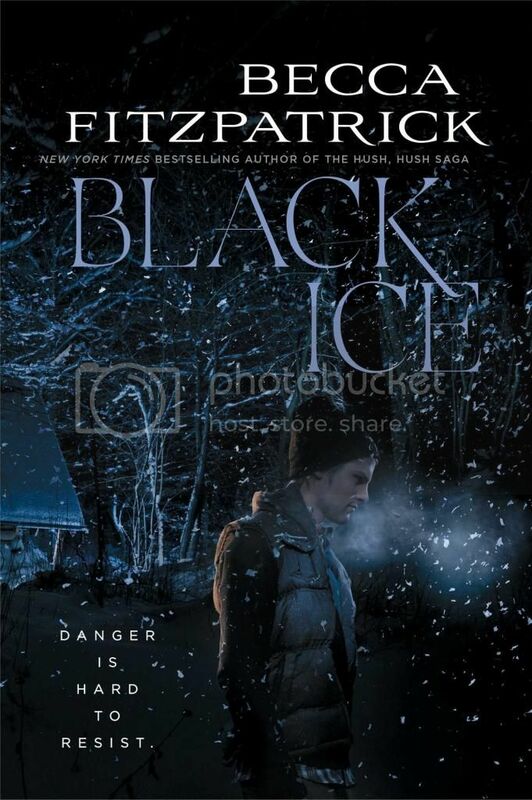 So I couldn’t wait to see what story Fitzpatrick was going to come up with next with Black Ice. Unfortunately I didn’t love the book as much as I expected to. Also, I really, really, really don’t get the whole ‘hating your best friend’ relationship that Britt had with her best friend, Korbie. I’ve seen it in quite a few books that I’ve read lately, and it is super annoying. I just don’t understand why people would choose to be friends with someone that obviously doesn’t like them. Another thing that really bothered me was that Britt was still so in love with her ex-boyfriend, when it was obvious that he was a super jerk. She spends most of the novel waiting for the ex, her dad, her brother, or any available male to come along and save her, instead of taking advantage of the situation and saving herself. Eventually she does manage to somewhat take control of the situation, but we don’t see this for quite a while. Then there was Mason/Jude, who was one of Britt’s captors. The term Stockholm syndrome was thrown around in the story quite a few times, but I really don’t feel that Britt ever had this issue with him. It felt like she just wanted male attention so bad, that she pretty much fell in love with whoever was available. Also, even though he wasn’t a total bad guy like the other captor was, and most of the things that he had done he did for reasons that he thought were right but really weren’t, he never was held accountable for the bad things that he had done. That just felt kind of wrong to me. I really, really wanted to like Mason/Jude, I really did. But he had so many secrets and had done so many things, that I just never felt like I could really trust him, unfortunately. While I didn’t really care for the characters in the book, there were some things about the book that I did enjoy. The writing style for the book felt very much to Fitzpatrick’s previous books. The storyline was very suspenseful and mysterious; it definitely kept me on the edge of my seat throughout the book. So I did enjoy that part of the book. I think that with a slightly different storyline, and a stronger set of characters, I really would have enjoyed this book more. Overall; Black Ice is a book that I didn’t love, but I also didn’t hate. I’m sure a lot of people will love the book despite the issues that I had with it, but unfortunately, it just didn’t work all that well for me.